WESTERN WASHING TON WILL CONTINUE TO SEE A MIXED BAG OF WINTRY WEATHER TONIGHT WITH FREEZING RAIN…SLEET AND MORE SNOW EXPECTED ACROSS THE LOWLANDS. WARMER AIR WILL MOVE INLAND LATE TONIGHT WITH TEMPERATURES MODERATING AND PRECIPITATION CHANGING OVER TO ALL RAIN FROM THE SOUTH TO THE NORTH. TEMPERATURES WILL REMAIN ABOVE FREEZING ON FRIDAY. ANOTHER STRONG…WET SYSTEM WILL BRING HEAVY SNOW TO THE MOUNTAINS FRIDAY EVENING INTO SATURDAY. 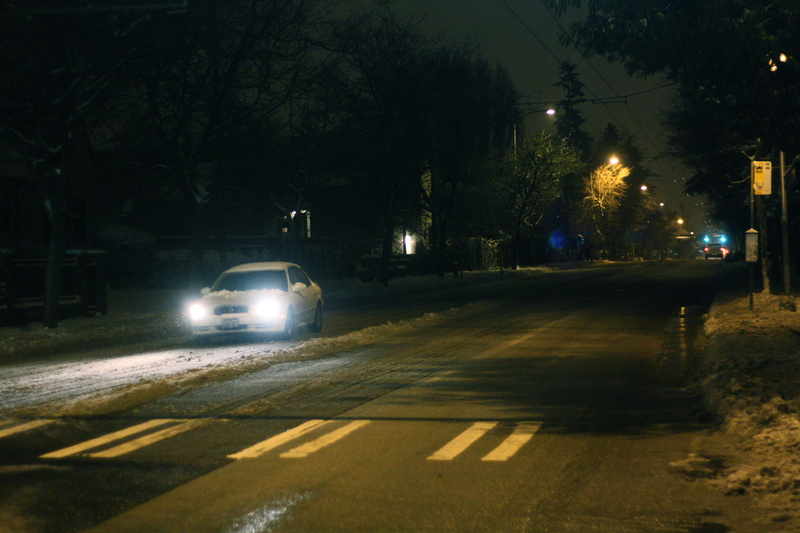 With ice and snow continuing to cause challenging travel conditions, the City of Seattle is encouraging people to get home before dark if possible. After dark, icy conditions may worsen and ice will become more difficult to see. Pedestrians should exercise caution – many sidewalks are icy, and there is danger of falling ice from trees, buildings and power lines. Schools are again closed on Friday. Metro will be on snow routes. We’re almost done. Enjoy it while it lasts? UPDATE: Thaw delayed. We’re going to see more of this today before things finally start warming up on Friday, Cliff Mass says. 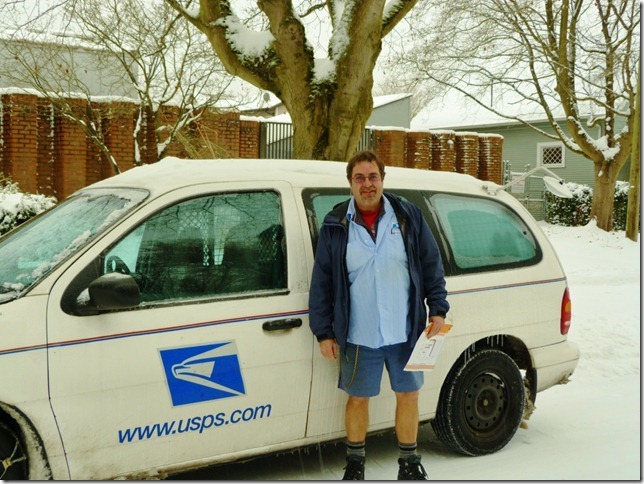 You can help us by letting everybody know about side street conditions in your area. Tell us what you’re seeing via Facebook, Twitter, or email — or call/txt (206) 399-5959. .A WARM FRONT WILL SPREAD RAIN OVER THE TOP OF COLD AIR TRAPPED AT THE SURFACE…RESULTING IN FREEZING RAIN…MODERATE AT TIMES THIS MORNING. THE RAIN IS EXPECTED TO EASE LATE THIS MORNING AND TEMPERATURES ARE EXPECTED TO CREEP ABOVE FREEZING BY ABOUT MIDDAY. Here’s the latest on getting around as we push toward getting back to normal and getting back to work. First piece of advice: sensible shoes. It’s a slippery mess out there. Broadway Snow Day, originally uploaded by MichaelChuck. SDOT has cleared the highest priority arteries in our area — 23rd, Madison and Broadway. Check out the big snow priority map, below. Good luck getting to them. If you are planning to drive, you can check out the latest de-icing and clearing work on the city’s new winter weather map. Red routes have been recently worked on. Side streets: Expect to find icy and rough roads on secondary streets in the neighborhood. 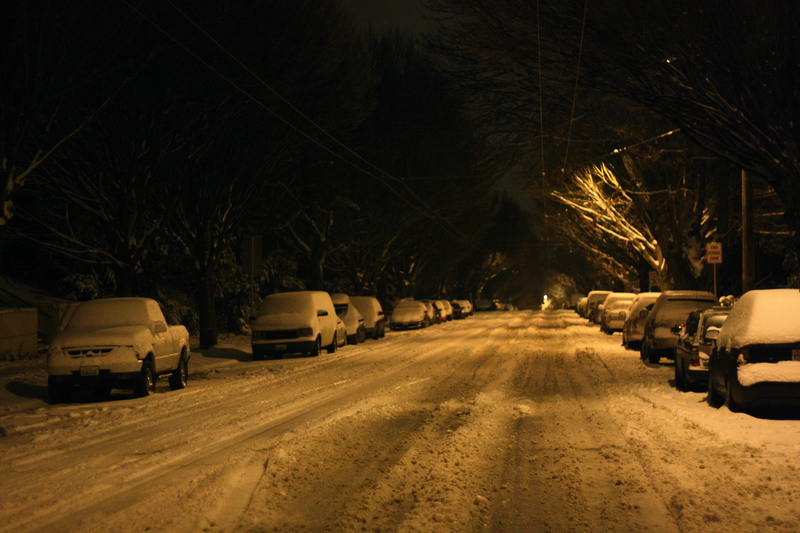 Side streets are mostly untouched and very difficult for driving. Sea-Tac flights have been halted by ice for the morning. No word on resumption but, if you were planning travel to the airport, start the process of making new plans. Seattle Public Schools are canceled. Good luck, parents. We’ll post updates about other schools as we catch up. Sidewalks: The Hill’s busiest walking routes are a problem. Slopes and icy snow conspire to make you slip. Take it slow. Stay off the phone. Bring a well-balanced friend. 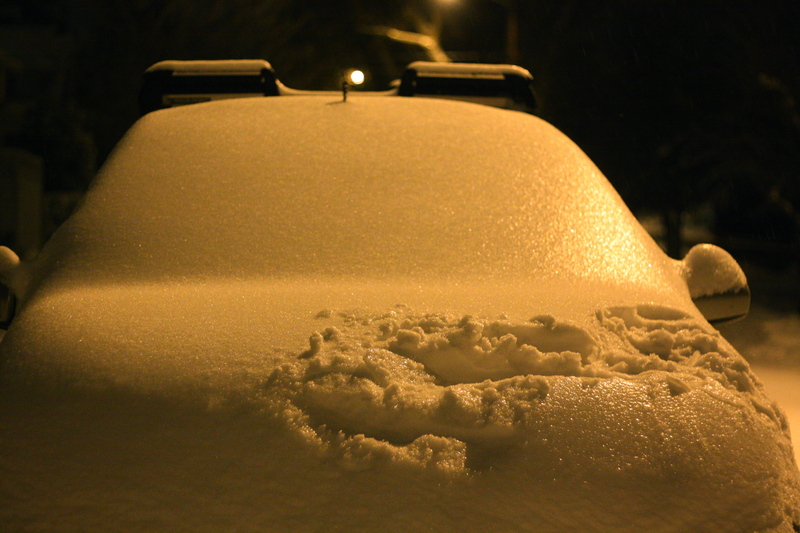 Driving: As challenging as walking is right now, driving is even more treacherous. Cleared streets might suddenly have a slippery patch of black ice. Even the pros are having problems with trucks spinning out and a full Metro bus into a tree in the University District. UPDATE: Via police radio, we’ve learned you also don’t want some idiot punching you while you drive. According to the SPD report, a rider punched the Metro driver, causing him to veer off the road and strike a tree. The driver suffered a broken leg. Power: So far, not a problem but ice + trees + power lines could be a recipe for outages on the Hill. Cliff Mass: Writes about the rarity of an ice storm in Western Washington, here. Last night: Sledders and revelers were in full effect. SPD fielded several noise complaint calls including one involving “a hundred people drinking and sledding” at Denny Way. 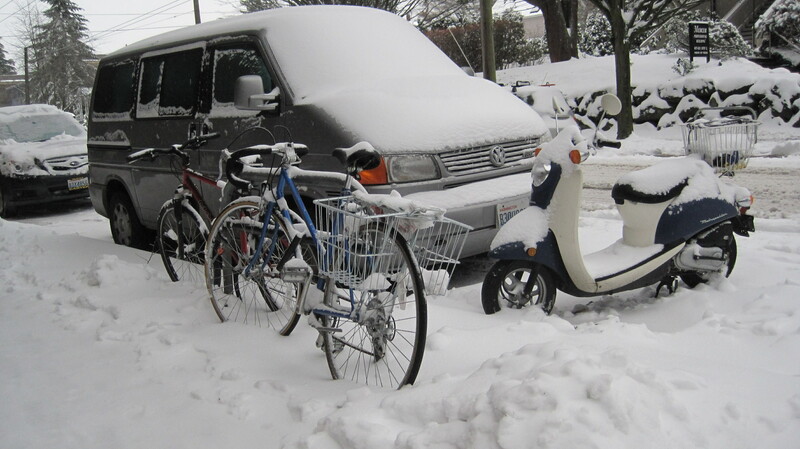 Here’s one account from how SPD tactfully handled a Capitol Hill sledding call on Wednesday. Even with the huge crowd on Denny, we count only three medic dispatches to that area of the Hill on Wednesday but only one we know of involved the sledding crowd. Garbage and recycling: No residential pick-up with limited commercial service. If you live in an apartment with no kids, you can’t imagine how much cardboard the average family builds up in a week. Notes: Area medical facilities are delaying “opening” as possible. Group Health, for example, isn’t opening its medical center until 10a. Urgent care is, of course, operating. We broadcast information frequently via Twitter so check out the @jseattle stream for information. PDF maps of priority snow routes for the city are here. From the archives: list of highest elevations and steepest streets. Its a shite-show fail parade of ice out this morning. 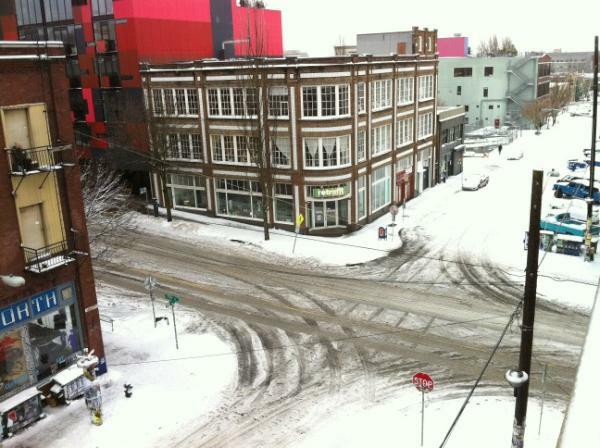 Seattleites who didn’t shovel their walks (almost everyone) will be waking up to complete sheets of ice to walk on. Buses are completely off schedule – if they show up at all. Stay safe. once the sledders wake up they need to make the trip to denny and take care of all the trash they left on the road/sidewalk. just walked down the hill to work and it looked like someone tipped over a dumpster. ripped cardboard, empty beer cans/cases, trash can lids and an ironing board. have fun but have the courtesy to clean up after yourself. Just wanted to note that the libraries are closed today as well. Old proverb from wise beer drinkers. ^^^ Words ^^^^ from the ^^^UNWISE^^^ above. 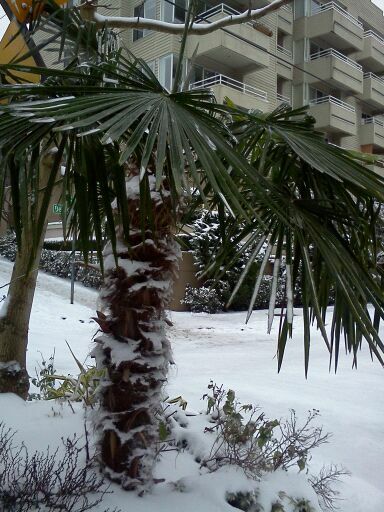 anyone else find it hilarious that a few inches of snow and the whole city shuts down? 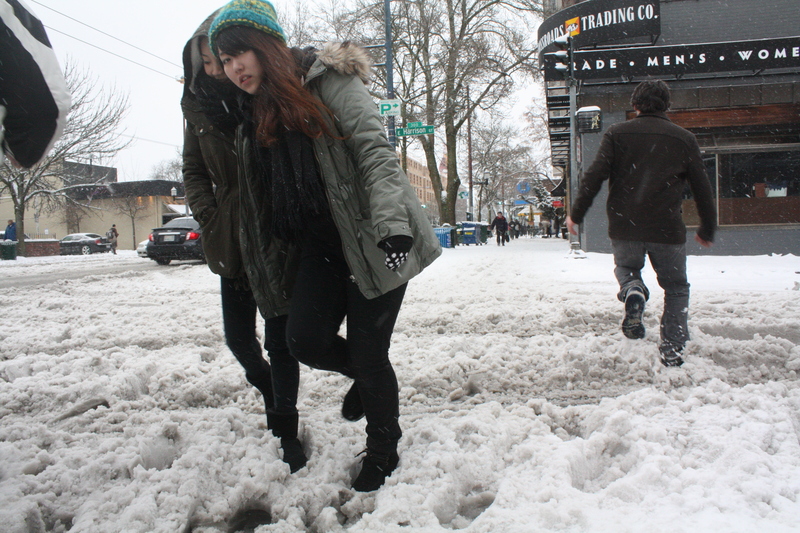 Oh Seattle, I love you, even though you CANNOT handle snow. Have fun, everyone! no. 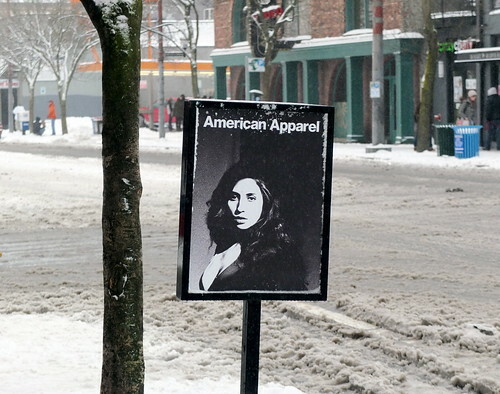 i find it hilarious that every snow event someone gets on a blog and thinks it’s funny that seattle shuts down. for a city that gets very little yearly snow, on average, i think the response is just right. so how about you just enjoy it if you have the day off or maybe move somewhere else where they CAN handle snow? Hear hear. I’ve been thinking about this a lot the past few days, and I don’t know how else people were supposed to handle all of this weather. People did what they had to do. And while I’m at it, I want to see this storm in LA and then see who’s a wimp.